Russia's anti-doping agency (RUSADA) was suspended by the World Anti-Doping Agency (WADA), raising the possibility of Russian track stars being barred from the Olympics if the country does not fall back into line with accepted international rules. 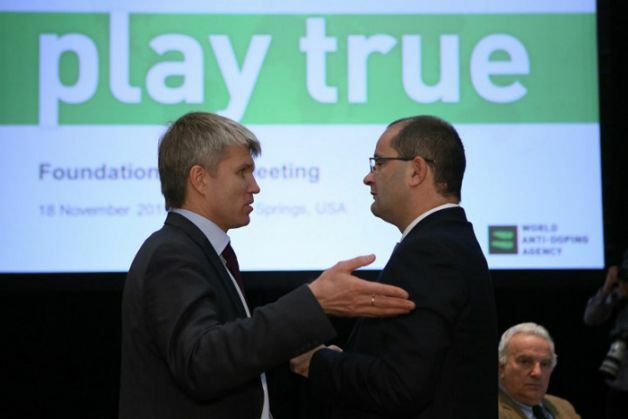 WADA's foundation board unanimously passed a recommendation from a committee on Wednesday which found RUSADA non-compliant with the global body's charter. The decision had been anticipated following a damning report by a WADA independent panel which uncovered a state-sponsored doping program in Russia. RUSADA had been heavily implicated in the scandal and was accused of destroying samples requested for analysis by WADA. The International Association of Athletics Federations (IAAF) had already provisionally suspended Russia from international competition last week but left the door open to a return in time for the Olympics. WADA's ruling on Wednesday piles more pressure on Russia to fix its system. Under rules agreed by WADA and the International Olympic Committee (IOC) only countries in full compliance with the anti-doping agency's code can participate in the Games. Russia has vowed to follow a roadmap laid down to overhaul its drug-testing program in order to avert the prospect of an Olympic ban - a nuclear option that neither the IAAF nor the IOC wants to see. WADA President Craig Reedie insisted however that the agency would move to ensure a "watertight" anti-doping regime in Russia. "Make no mistake, we will not rush this process of compliance, we will do it right - the integrity of sport is under threat," Reedie said in a statement. However the prospect of Russia being offered a straightforward route back into the international fold has met with opposition in some quarters. On Wednesday, Olympic legend Ed Moses added his voice to calls for Russian track and field athletes to be barred from next year's Olympics over the scandal. "The only sanction is that enough is enough. It is to state loudly and clearly that the Russian athletics team cannot go to Rio," Moses told the WADA meeting in Colorado Springs. "Athletes are very concerned - they want to see the right thing done in this case," Moses said.